Flats Napa Valley is a boutique offering unique one-of-a-kind pieces to the discerning eye. We carry our own brand, Flats by Jan Niemi, as well as a collection of hand selected luxury brands to offer our customers a complete look. Flats Napa Valley is ever growing to encompass new styles that embrace a passion for simple and elegant fashion from small artisan producers around the world. Flats Napa Valley walked onto Main Street, Saint Helena in 1999. This European-style boutique sprang from the ever-creative mind of Jan Niemi. A native of Saint Helena, Jan then spent the first half of her career as an international banker, living in one fabulous city after another: Athens, Casablanca, Florence, London, and New York. Running from plane to plane, she quickly developed an appreciation for the well-made fashionable flat shoe. Impossible to find in the United States, Jan had an epiphany and a new mission: To design the perfect handmade ballet-flat style shoe for the American market. She packed her bags and moved to Florence, Italy to learn the shoe business. She stopped banking and started cobbling, returning with suitcases full of her own unique handcrafted line of flats in a multitude of colors, materials and styles. In 2004, she fell in love with the vibrancy of Jaipur, India and so began the famous Flat's tunics, caftans and kurtas. Hand-printed from Jan’s own designs along with some of the best-know classic designs, it's impossible to leave the store with only one. 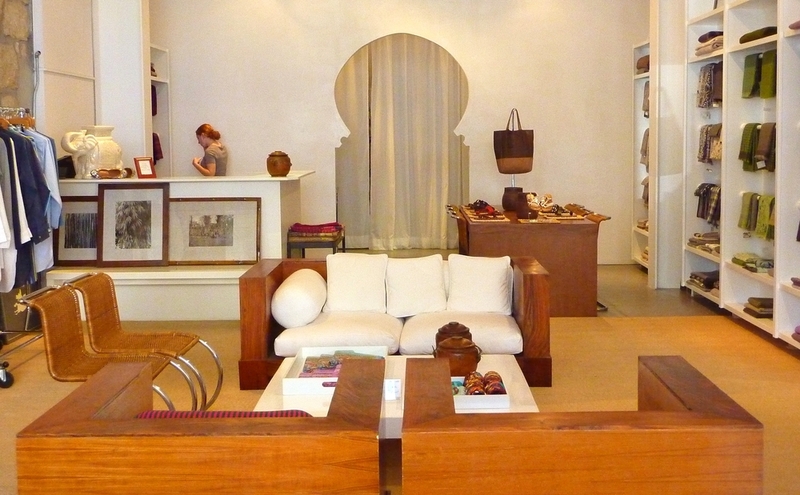 In addition we offer personal and home accessories found along Jan’s travels, treasures from afar.